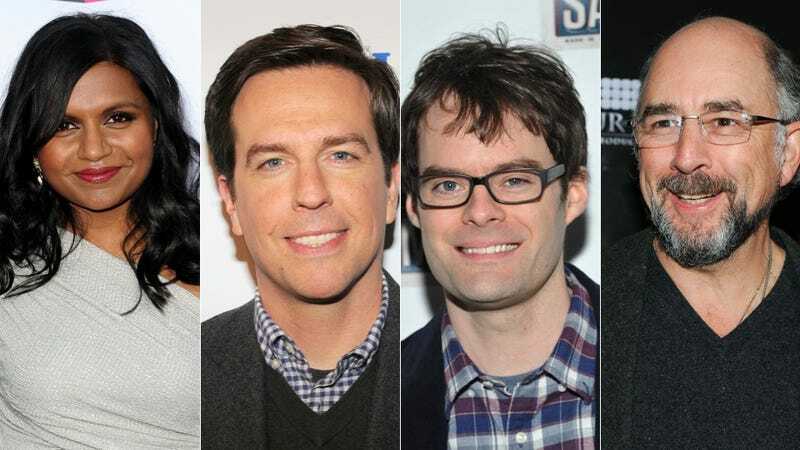 Starring alongside Mindy in the pilot will be sillyfunny Ed Helms, creepyfunny Bill Hader and distinguishedfunny Richard Schiff — as the love interest, the ex-boyfriend, and the mentor/colleague, respectively. Mindy plays "a Bridget-Jones type OB/GYN trying to navigate her personal and professional life," and if you read her book (which you should), you know that her mom is an OB/GYN. Since Schiff's character is the old coot who "tells stories about the 60s and 70s," we can assume that he was inspired by Dr. Chokalingam and her hospital buddies. Hopefully it gets picked up!